Home » General » Manual vs. Programmable vs. Smart Thermostats | Which Is Best for You? Manual vs. Programmable vs. Smart Thermostats | Which Is Best for You? When it’s time to replace your thermostat, there are many new and exciting options in thermostat technology to choose from. You can upgrade to a programmable or smart thermostat and really customize your comfort. Manual thermostats still have their benefits, but smart thermostats are the wave of the future. In the spirit of fairness, it’s worth it to weigh the pros and cons of all three types of thermostats: manual, programmable, and smart. 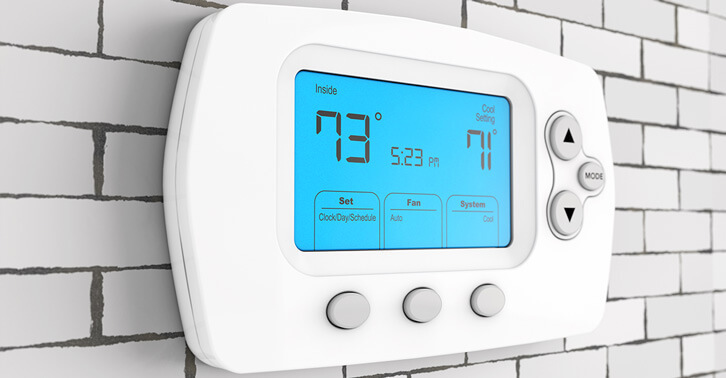 Also known as analog thermostats, manual thermostat models are quickly being fazed out by more energy-efficient programmable and smart thermostat technology. Manual thermostats are old school, but they work and often outlast their fancier counterparts. It is the recommendation of most heating and cooling professionals that if you currently have a manual thermostat and are looking to replace it, that you consider upgrading to a programmable model instead of simply repurchasing another manual. It’s 2018 — let your thermostat work for you! Things to consider: Although manual thermostats may cost less upfront to purchase and install than a programmable or smart thermostat, they are not as precise when it comes to temperature accuracy. When your thermostat isn’t accurate, you are using more energy, and thus spending more money. A good dusting and cleaning can help. Learn how to clean your electromechanical thermostat. Additionally, every time you leave or enter the house, you will need to remember to adjust the thermostat. It’s easy to forget and spend more money on cooling than you should. Accuracy and energy savings are huge factors to consider when looking into new thermostat replacement services. 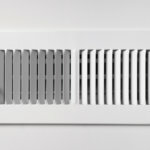 When you think about the fact that cooling is responsible for at least half of your energy costs, it’s worth it to consider how to save some coin without sacrificing comfort. The perks of programmable thermostats are customization and energy savings. You can schedule and set your temperature preferences for each day of the week. No more having to adjust the temperature manually as the day heats up and cools down. A programmable thermostat knows your comfort preferences, and independently carries out the necessary temperature shifts within your home. In this way, programmable thermostats save you money by automatically turning the thermostat up or down. They also add comfort by adjusting the thermostat while you are asleep or away from home to reach the perfect temperature when wanted. Customizable and adaptable, programmable thermostats are the key to upgraded, just-for-you, comfort. Things to consider: A programmable thermostat will be a higher upfront cost, as it is a more complicated piece of equipment. Additionally, you will need to speak with a professional about which programmable thermostat is compatible with your system. Programmable thermostats are not always universal. We recommend hiring a professional HVAC technician to replace your thermostat properly. Lastly, programmable thermostats only work when they are programmed. Unfortunately, many homeowners use their programmable thermostat just as they would a analog thermostat—by raising or lowering the temperature manually. Don’t program your thermostat incorrectly or disable the programmable function. Consult your owner’s manual for instructions. If you have any questions at all, don’t hesitate to contact Service Champions. A modern family deserves a modern thermostat. By eliminating human error, smart thermostats are the top choice for technologically and environmentally savvy homeowners. Like a programmable thermostat, you can use a schedule to control the temperature settings throughout the day. But that’s just the basics. Smart thermostats can also be controlled from your smartphone, provide energy reports, run times, and notify you if your air filter needs replacing. Smart thermostats are built with today’s busy, eco-friendly, and high-tech consumers in mind. Smart thermostats not only give you unparalleled temperature control, they also run on WI-FI, enabling you to control your home’s comfort level even when you’re not at home. The perks of smart thermostats make these models the “hottest” and “coolest” thermostat replacement on the market. Popular smart thermostats include Nest, Ecobee, and others. Things to consider: If you already have a programmable thermostat installed in your home, then a smart thermostat may not be necessary. With a programmable thermostat, you are already saving money and energy. However, if you love data and technology, and want to switch it up, then a smart thermostat is certainly the crème de la crème. As long as your thermostat is functioning properly, your cooling system will too. There are many fun options if you are considering a thermostat upgrade for your home. Your thermostat should work for you and your lifestyle. When looking to install a new thermostat, consumers should have the background information they need to make the right decision for their daily comfort concerns. Service Champions can help you find the best thermostat to fit the needs and style of your home. 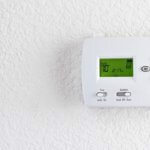 We offer thermostat replacement and installation services, everyday, all summer long.